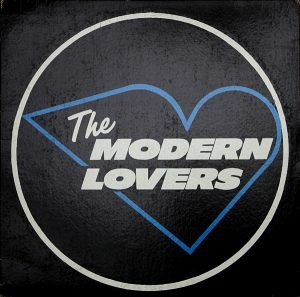 At some point in 1973 — around the time The Modern Lovers were signed to Warner Brothers — Jonathan Richman had a change of musical heart. It wasn’t that he didn’t still love rock ‘n’ roll, but rather he didn’t want to make loud, noisy, overly electric rock ‘n’ roll. Which meant that when it came time to properly record the songs that had been demoed for WB and A&M, Jonathan really didn’t want to. Which was a problem, of course, for his band, their producer John Cale, and eventually Warner Brothers records, who reacted to Jonathan’s compromise of recording the songs but not touring them by dropping the band. A lyrical companion piece to “Someone I Care About,” “Girl Friend” wore it heart in its hands, and sported one of those choruses that you never forget, once you’ve heard it. It’s the spelling out of “G-I-R-L-F-R-E-N” that puts this chorus over, of course. One one level, it’s childish and sincere, and on another level, almost ironic. And if course, on the most important level, it secretly acknowledges that “girlfriend” has one letter too many to spell out properly beat-by-beat when you want to emphasize your point by spelling out the world. Musically, “Girl Friend” trades the organs for piano, the chunky guitars for a spindly one and the speedy beats for a sad, funereal march — the musical equivalent of walking through the Fenway at four in the afternoon, heart in your hands. It’s gorgeous, anthemic and probably worked.